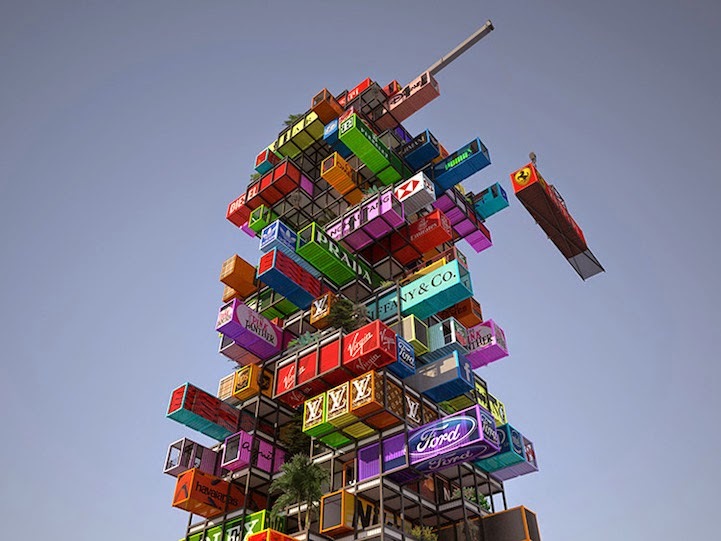 At first glance, the Hive-Inn resembles a colorful set of stacked blocks that are reminiscent of the fun-yet-challenging game, Jenga. 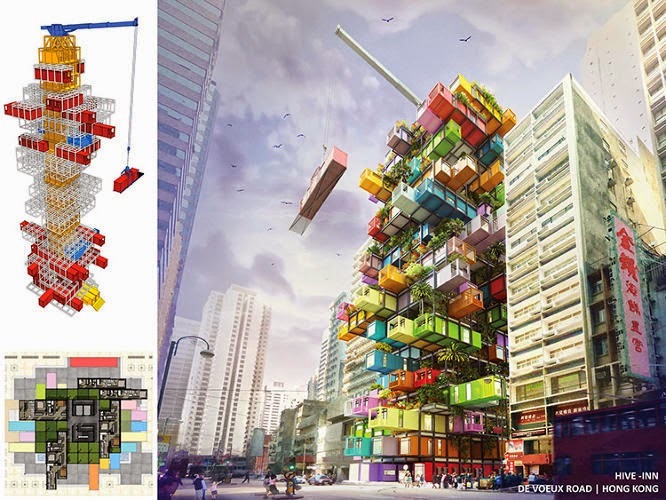 They are much than that, of course, and the individual elements make up a proposed hotel concept by Hong Kong-based architects at OVA Studio. 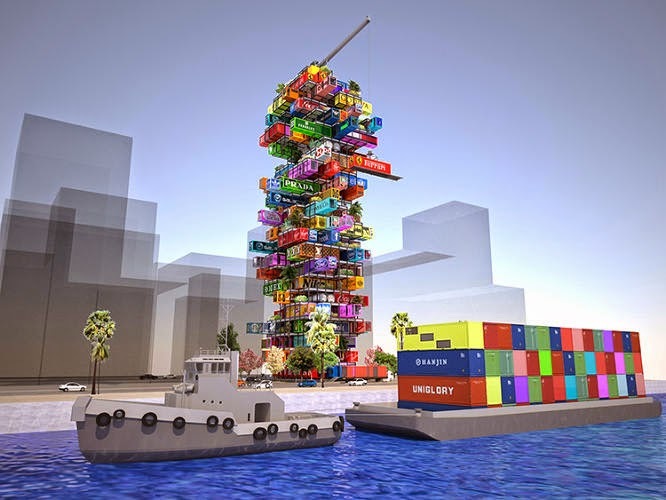 The building, designed for the Radical Innovation Awards, is composed of recycled shipping containers whose modular design allows for rooms to be traded in and out without disturbing the surrounding containers. 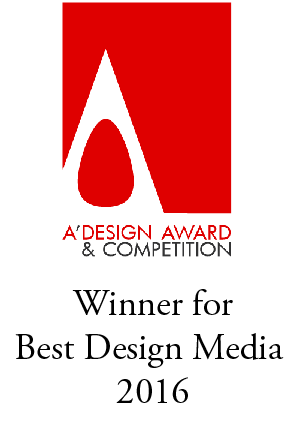 This clever concept presents extensive branding opportunities. 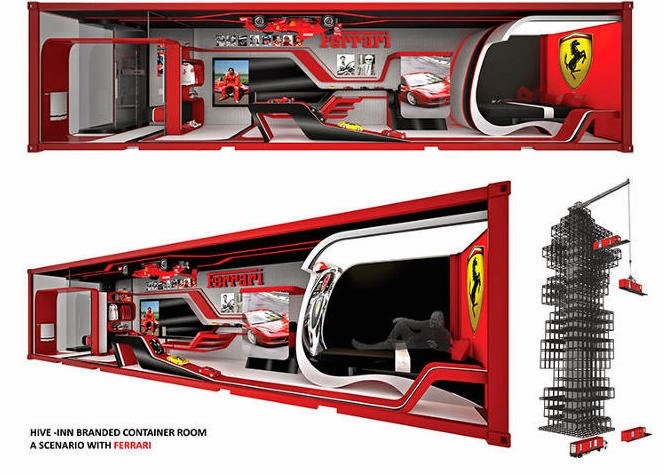 Since portions of the hotel can be changed, containers could be temporarily sponsored by companies like Ferrari, who would decorate the space inside and out. It would give fans of the product the opportunity to live in a place that’s crafted with a brand's unique sensibility and aesthetic. As different partnerships begin and end, the exterior would always have something new for you to see. 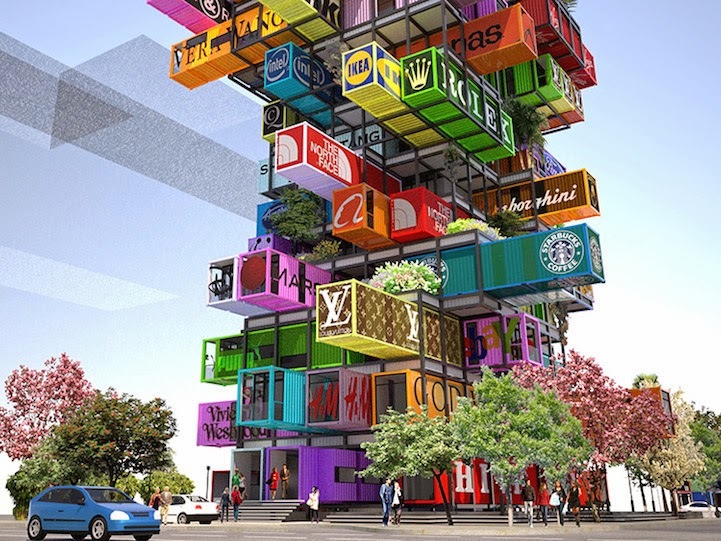 Although presented as a hotel, the architects see other possibilities for Hive-Inn. They envision it for use in emergency housing or medical care units. 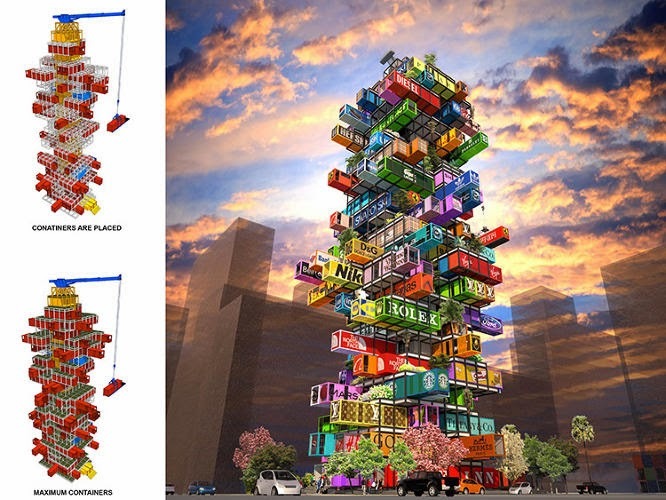 Mobile apartments or offices are another option. Imagine if your home traveled with you as you moved from one country to another - you'd never be far from a warm, familiar place.